The TR-1518 Carryout Tripod Mount from Winegard is designed for use with select Winegard portable satellite antennas for creating a TV system. Assemble the mount using the included hardware and securely mount your satellite antenna using the locking bolts. 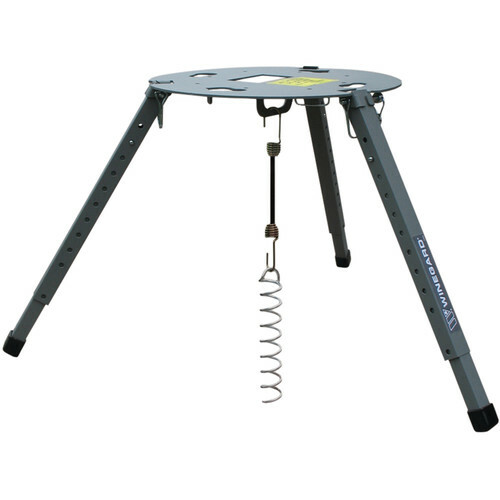 The tripod can be setup on dirt locations and secured to the ground with the anchor screw and bungee cord, or on solid surfaces using an 8lb weight attached to the bungee cord for stability. Box Dimensions (LxWxH) 15.7 x 14.7 x 2.2"